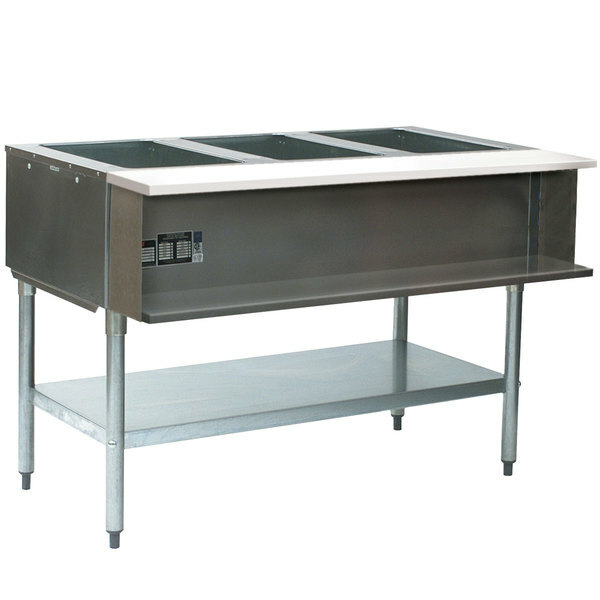 Eagle Group BS2-HT3 Stainless Steel Buffet Shelf with 2 Sneeze Guards for 3 Well Food Tables - 48" x 36"
Eagle Group DOS-HT3 Stainless Steel Double Overshelf - 10" x 48"
The Eagle Group AWT3 natural gas 3 well water bath sealed well hot food table. The AWT3 is constructed of stainless steel and it has a galvanized steel undershelf. 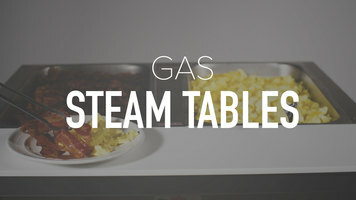 The AWT3 gas steam table has 1 5/8" diameter legs that are made of galvanized tubing with adjustable, non-marking feet. The AWT3 can accommodate three 12"W x 20"L food pans, which are not included. 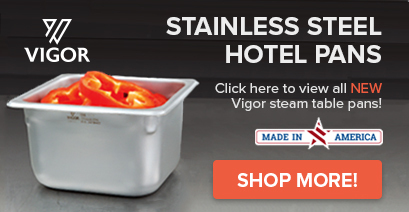 There is an 8" wide x 1/2" thick polycarbonate cutting board and a stainless dish shelf standard on the AWT3, as are a straight-flow, tubular gas burner and pressure regulator. The AWT3 is 48"W x 30 1/2"D x 34 1/2"H and is 15,000 BTU total.